Today's topic is how I overcame my fear of group exercise (formally known as group humiliation) and a bit of promo for the fantastic classes available at Elite Performance Fitness. Before I started training with Chris I had attempted a couple of classes at my old gym that were aimed at 'all abilities' and not had a very good experience with them. I hated the fact that everyone was doing the same exercise at the same time so it was very obvious if you weren't sure what to do or if you were slightly slower than everyone else! I found the idea of attending bootcamp/circuits classes very intimidating, even when I joined Elite, as quite honestly everyone who did them looked like they wanted to die at several points during the class. The classes are hard, I'll be brutally honest. But you feel great afterwards, tired but great, and they are fantastic for fat loss! I quite quickly got into the routine of going and now I go to Dave Holt's class on a Wednesday evening at 6.30pm and on a Saturday morning 10-11am. In terms of what you can expect, the circuits are split up into 10 or so exercises and everyone does a different exercise at once, as many as you can do in the time alotted (normally one minute). 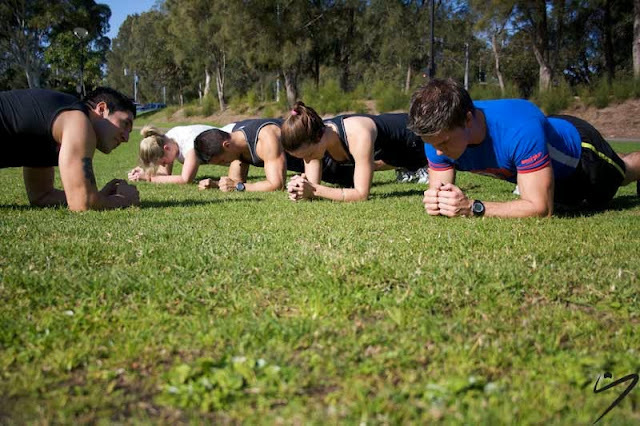 The exercises range from squats to lunges, burpees, planking and kettlebells etc. I genuinely think all fitness levels could do the class but obviously people's abilities in terms of the weights they are able to lift will be different. What I really like about the class is that everyone is doing something different so if you can't do something as quickly as someone else then it's no issue. You just do as many as you can in the time. The short bursts of activity are also great for someone with a terrible concentration span like myself! You are not doing anything long enough for it to be really horrendous. I would say that the classes have made a huge difference to my fitness and they are a really great way to get to know new people as quite a few of the same faces go each week. The classes are £6 per session - Come along and join in the fun!